How can we read the Bible more consistently? Wright says that the Bible was not written in “ten verse chunks.” Why is it important to read the Bible as it was written, as single books and not individual passages? How might we read the Bible in this long sweep, like listening to a symphonic piece? 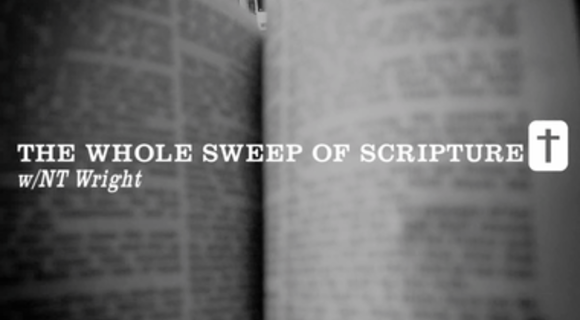 How is reading scripture in small pieces a dishonor to scripture? How can the church promote Scripture reading that takes this broader view? For Wright, reading the Bible in longer units is more exciting than the short “digestible” passages. However, there might need to be help in order to read the Bible in this way. What resources might be available in order to help Christians understand as they read these books in their entirety? Wright says that the reason the Bible was broken into these pieces is because the church needed to read these in passages in worship, as a part of the lectionary. However, Wright uses the image of the “window” to show how these few passages are only a “window” to a larger landscape of Bible. How might our Bible readings be changed if we spent time with larger passages of the Bible? How might we make time for this kind of reading?